Ben Roethlisberger jokes James Conner did well in his "last game"
Bell sent a tweet recognizing James Conner's strong play in the 28-21 win over the Bengals. 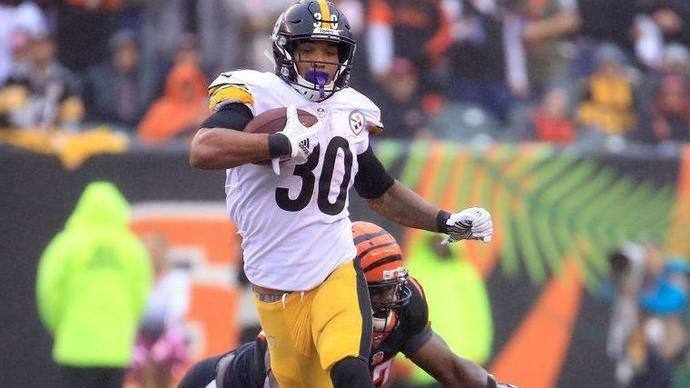 Conner ran 19 times for 111 yards and two touchdowns to continue a good run as the top running back in Pittsburgh. Thoughts about whether that run will continue led to a joke from quarterback Ben Roethlisberger after the game. "He was a bowling ball today," Roethlisberger said, via PennLive.com. "He was all over the place. What a great game, but I know it's his last game for us, so, because Le'Veon's coming back. I thought he did well in his last one." Roethlisberger said last week that Conner should retain a role in the offense if and when Bell returns to the fold and Sunday's performance was another strong argument in favor of that approach.